1984. Shinoda Koi farm – Koguriyama village. Only a few hundred metres from Hiroi. This farm is owned by Susumu Shinoda who produces many Doitsu varieties as well as wagoi. In the UK back then, there was a real demand for Doitsu Go-Sanke and I found and purchased many here. 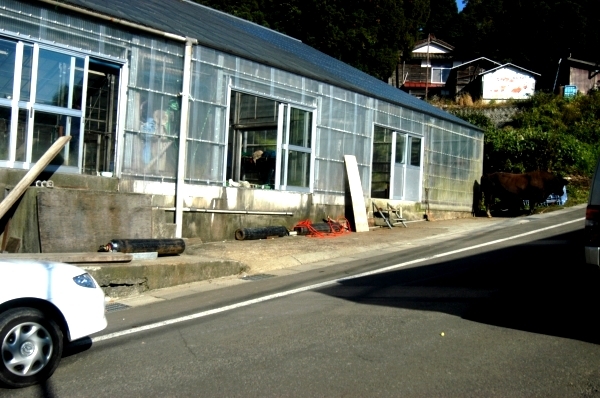 The Shinoda farm comprises of a large glass house on the narrow roadside, directly opposite is another glass Koi house which I assumed to be part of the same farm. It was not until later years I discovered that this house belonged to another Koguriyama breeder known as Hansuke. Shinoda also has outdoor concrete ponds attached to his indoor house. On my first visit Susumu seemed very shy and rarely smiled, I have since found out that he is merely ‘quiet’ but, nonetheless welcoming. My first impressions were – ‘hard working and dedicated’.